A new generation of challengers arrive! Pixel Count: Next Gen Launch Titles? In case you haven’t guessed, it’s next gen week here at GamerSushi, and really everywhere else on the Internet, for that matter. Can you blame us? We’ve got two new consoles launching this month, ushering console gamers into a collective new era of brand new possibilities, new intellectual properties, and new ways to get trolled online. Of course, one of the least exciting things about a console launch would actually be the system’s launch titles, which are very rarely anything to boast about. This seems to be the case this generation in terms of first party games, although there are a few third party games to get excited about. So, I wanted to ask you guys which of the following launch titles excited you most? In the past, what are some of your favorite launch titles? Hint: if you say anything other than Mario 64, you might be banned from GamerSushi. OK, kidding. Sorta. Which launch title are you most excited about? Other: tell us in the comments! Posted on November 12, 2013 Author EddyCategories GamerSushi News, GamerSushi Votes, lists, Pixel Count, Playstation 4, Xbox OneTags assassins creed 4, crimson dragon, Forza 5, killer instinct, killzone, Knack, nba 2k14, next generation, resogun, ryse2 Comments on Pixel Count: Next Gen Launch Titles? Ugh. 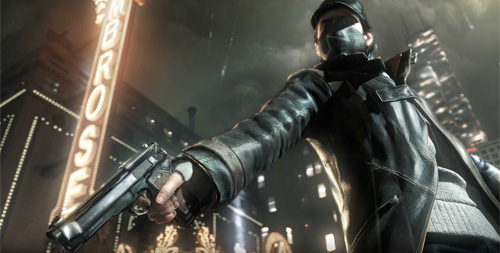 In what I’d call more of a gut punch than actual news, Ubisoft announced via its blog yesterday that Watch Dogs, slated for a release this fall, will be pushed back until Spring 2014. So, yeah. This is pretty disappointing for me, as Watch Dogs was the one game I really wanted play on my PlayStation 4 this fall. Now, the thing may just be a paperweight until February, when InFamous comes out. 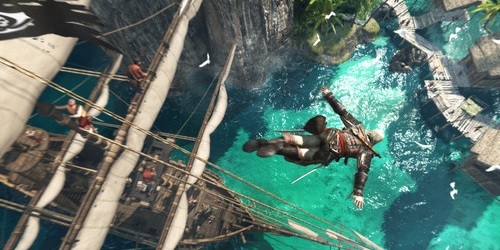 Unless I *shudder* decide to play Assassin’s Creed 4 instead. Who else is bummed by this? What games will you be playing this fall? Go! Sushians! The dreaded fall abyss approaches. You know, the one that we’re all going to disappear into while we’re busy playing games. The first harbinger of doom comes in the form of one Grand Theft Auto V, which somehow is only a few days away. I’m not really sure how that happened, but I’m not complaining about it. After that, we’ll have games like Watch Dogs, Batman: Arkham Origins, AC IV, Battlefield 4 and then some. But before all that, what are you guys playing right now? 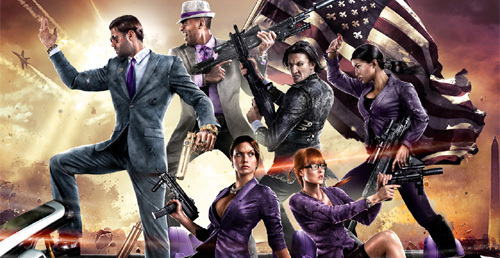 To prepare myself for battle at the moment, I’ve been diving into Saint’s Row IV, trying to finish it in a mad dash just in time for GTA V. I’m also trying to wrap up Brothers: A Tale of Two Sons, and hope to knock out Call of Juarez: Gunslinger sometime in the near future as well… but my eyes are often bigger than my stomach when it comes to gaming. So what about you guys? What are you playing while you await the inevitable fall madness? Go! Posted on September 13, 2013 Author EddyCategories GamerSushi Asks, GamerSushi News, Industry News, PC, Platformer, Playstation 3, Sandbox, Shooter, Stealth, XBox 360Tags assassins creed 4, batman arkham origins, grand theft auto v, video game releases5 Comments on GamerSushi Asks: What Are You Playing? We’re back with another one of our block-rockin’ casts, bringing you all that hot gaming discussion we know you love. Nick even makes a cameo appearance on the cast, so fans of his bearded tones get a little treat this week. 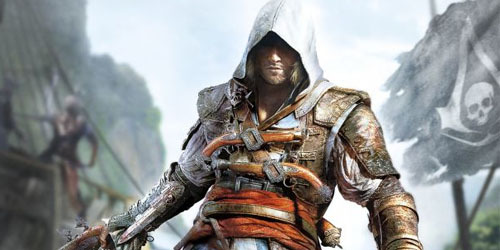 This is one of our longer casts as we get into discussions about the newly announced Assassin’s Creed 4, Dead Space 3 and microtransactions, Ni No Kuni, racism and Borderlands 2, the next generation and the possibility of the Wii U being DOA. So yeah, there’s a lot of gabbing going on here. Listen, rate, comment; we’re all old hands at this, but I like reminding you anyways. Enjoy!